Whether it takes five hours or 35, the first solo flight is a big deal for both the student and instructor. For the student, it’s a time when all of their hard work pays off and they have the opportunity to gain the confidence necessary to move on to the next phase of pilot training. As an instructor, it’s gratifying to know that your instruction has provided another student with the knowledge and skills to fly on their own. If you’re like most instructors, you know that your student is ready when you send them up for their first solo. But how do you really know? When does that defining moment occur? Some instructors would say it’s just a feeling. Some would say it’s all in the PTS standards. Some would say they have their own personal standards for maneuvers and flying skills that exceed the PTS, and others would say that it’s more about attitude and decision-making. Some instructors are more brave than others, sending their students up when others wait patiently for the right weather conditions, the right attitude, the right airplane or a certain confidence that the student exudes. Which of these instructors is right? Probably all of them. There are some obvious features surrounding a student pilot’s readiness to solo, like meeting the requirements set forth in the FARs and performing consistently safe landings, and there are less obvious ones like demonstrating good decision-making skills and attitude - but all of these are part of determining when a student pilot is ready to solo. Some criteria are not ours to decide. The FAA requires that a student pilot must have received and logged training in certain topics and performed certain flight maneuvers before he may solo. A student must have at least a third-class medical certificate, a student pilot certificate, and the required endorsements from a flight instructor in his logbook and on his student pilot certificate. FAR 61.87 lays out the training requirements for student pilots. A student must have received – and logged – flight training on certain maneuvers, enumerated in FAR 61.87, specific to his category and class of aircraft. He also must demonstrate knowledge of the elements of Parts 61 and 91, of the airport where he will solo and of his solo aircraft, and must complete a written exam administered by his instructor. 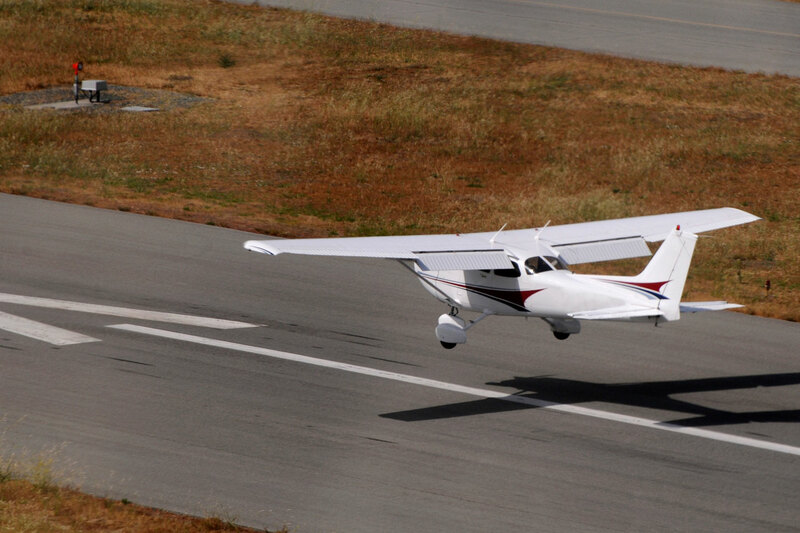 Once you’ve passed the FAA’s paperwork test, it’s time to see if your student can really fly. The procedures and checklists can be taught, of course, but the true test lies in how well the student can maneuver and control the airplane. He needs to demonstrate proper emergency procedures, consistent and stable approaches and landings, and familiarity with the airport environment and radio communications necessary for the chosen airport. A student who is ready to solo understands the fundamentals of flight, the relationship between pitch and power, the proper aircraft configurations for different phases of flight, angle of attack, rudder use and left turning tendencies. Does the student know how to recover from a stall? Does he know how to troubleshoot a low oil pressure gauge or a failed alternator? Can he successfully make an off-field approach and landing in the event of a power failure? A student should be intimately familiar with a variety of common emergency procedures before he flies solo and must be able to demonstrate the procedures for a successful (simulated) power-off approach and landing. Approaches and landings are often a sticking point for students. The pattern is a busy place, and flying toward the ground during the approach can cause anxiety for many students. A student is ready to solo when the patterns and approaches are consistently stable. What’s a stable approach? When the aircraft is maintained at its approach airspeed (standards vary, but a good rule of thumb is +5/-0 knots of variance), on glide path (not too high and not too low), or when not, timely and proper corrections are made to achieve the target approach speed and an appropriate glide path. A stable descent rate should be maintained and the aircraft configured properly (flaps, gear, cowl flaps, etc.) before a ½-mile final (for a small airplane). The landing flare should be on centerline without any side-loading and with the main landing gear touching down first. The student should consistently put in proper crosswind correction and should know how to recover from a botched landing. An occasional less-than-perfect approach should not necessarily be a deal-breaker when assessing a student's ability to make safe landings. What’s more important is that the student consistently goes-around after an unstable approach or anytime the certainty of a safe landing is in doubt, without the instructor demanding he do so. A student who is ready to solo will recognize the need for a go-around and will initiate one without hesitation. A student who resists the go-around or tries to “save” a bad approach is not ready to solo. A student should be familiar with the entry and exit procedures for the traffic pattern, local landmarks and airspace, and should know what to do when it’s necessary to extend the downwind leg or make a 360-degree turn for spacing. He should understand how the radios work in the aircraft and what the proper radio terminology is. The final test that an instructor should apply to a solo student is the test of his ability to make decisions wisely and efficiently – but not impulsively. Is he timid or over-confident? Does he make good decisions on his own, without prompting from his instructor? Does he respect the sky, the airplane, and the tradition? Can you trust him to follow your instructions? And, finally, is he ready to understand and accept the responsibility of pilot in command? How will you know? He will have, without asking your permission, shouldered responsibility for most of those decisions that must be made on every flight, and you, his instructor will already have begun thinking of the training and the adventure that lies beyond his first solo.